A band who first came together when the two guitarists – Jansen Press and Vincent Martinez – jammed at a music industry event back in 2009, Carousel Vertigo will be well-known to the Status Quo fans among our readers, as they were the support band of choice on the latter’s Pictures Exposed and Quid Pro Quo tours. While the multi-national combo plough a retrospective furrow which recently has been harvested much more richly by the likes of the Rival Sons and The Answer, CV bring a more experienced, world-worn perspective to their take on the ‘revivalist rock-blues’ movement. However, it is something which works both for and against them, as ‘Mighty’ fails to live up to its promise by playing things too ‘safe’: it’s just too respectful to its roots – which lie in everyone from Aerosmith to Humble Pie, Grand Funk Railroad and the Amboy Dukes to Nazareth and The Groundhogs. There are some excellent moments: opener Mighty Good Woman is as good an example of this retro-rock obsession as you’re going to hear, and Martinez’ vocals are suitably earthy and passionate (as, indeed, they are for most of the album), while lead single I’m A Comin’ World is a solid mid-paced rocker which showcases all the band’s different aspects and influences to good effect. The standout track, however, is the magnificent and drunkenly sordid I’m Your Man, which very much not only mirrors the classic Aerosmith ballads but also nods extremely reverentially in the direction of Tuesday’s Gone as it slides up to the bar for another swig of that damn fine bourbon they were sharing earlier. Help Me Through The Day , on the other hand, is an overly workmanlike and unimaginative rendition of Leon Russell’s classic, while Last Call For Love could have provided a much more rousing finale than it ultimately delivers. Overall, however, this is a mighty impressive debut (excuse the pun) which promises that there should be much more to come from this particular project. ‘Mighty’ is released via Molano Music / Cargo Records on October 28th. 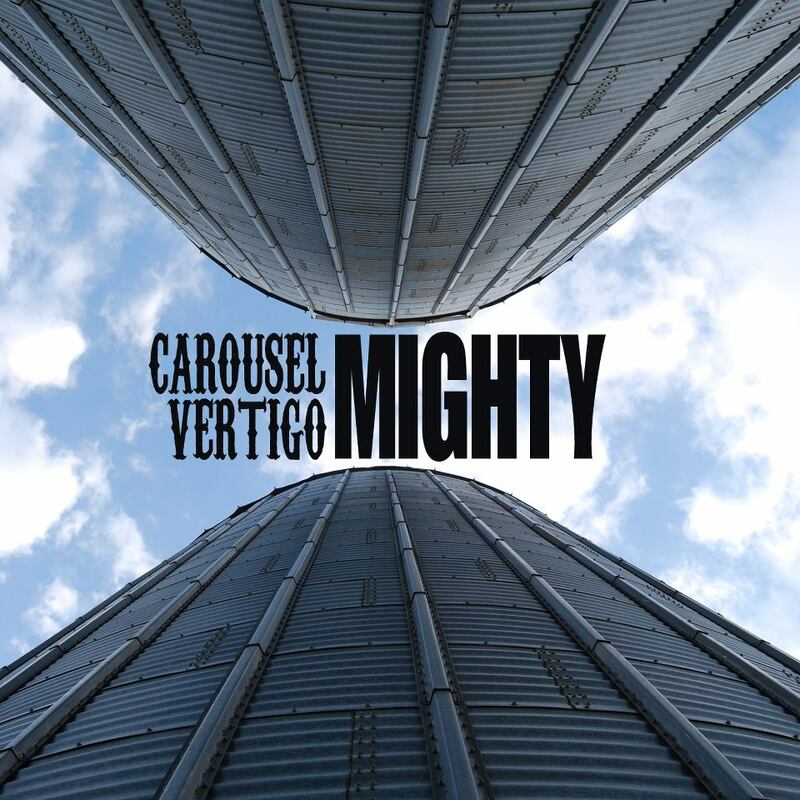 Carousel Vertigo launch the album at the Borderline, London, that same evening.